“Thirst quenched the thirsty labourer. Perhaps the most refreshing way to discover Xàtiva, once known as “the city of a thousand fountains”, is to stroll along the Water Route. This sign-posted trail takes in some of city’s the most evocative landmarks, revealing Xàtiva’s close relationship with water over the centuries. The city has boasted a network of drinking water supply channels since at least the Islamic period. By the 17th century, there were more than nine hundred fountains, a feature so unusual at the time that the city became famous for it. Fountains were divided into three categories; royal ones, which were monumental and publicly funded, neighbourhood ones, maintained by the residents, and private ones, scarce and only within the reach of the very wealthiest families. Located outside the Cocentaina gate, the fountain was built to replace the famous 11th century Islamic drinking trough that was removed and relocated to the City Hall in 1788. However, the new wall fountain was not finished until 1806, in neo-Classical style, with a large central mask and twelve spouts on either side. One hundred years later it was restored by the architect José Acuña, who changed the corners of the trough into right angles. This fountain presides over the Plaça de la Trinitat square, in one of the most charming parts of the old quarter, and is one of the few Gothic fountains that have been preserved in the Region of Valencia. It dates back to the last third of the 15th century, and the originally polychrome octagonal basin shows the city’s coats of arms and those of the Kingdom in alternation. A royal fountain must have existed in the Plaza de Roca square since at least 1422, when the new Santa water channel was built. The present fountain was constructed in 1841. With a centralised plan, the fountain has an elongated, semi-circular bowl and a hexagonal stone column, clearly Gothic and no doubt fashioned using the earlier fountain. Many of the fountains had to be renewed because of their great age and poor condition. 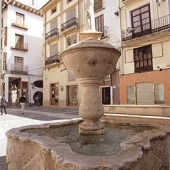 Such was the case of the Real de Sant Francesc fountain, located in the square of the same name and cited in the Llibre de Repartiment de la Sequia de Bellús in 1680. It was rebuilt in 1764 by the stonemason Marcos Piqueres in Baroque style. There is an image of Saint Francis above the basin, replacing the original one that disappeared in the late 19th century. In 1788, the new Portal del Lleó gate, designed by Vicente Gascó, was built and it was then proposed to construct two new fountains adorned with lions, one on each side of the gate, to replace another earlier fountain. In the end, only one of the two proposed fountains was sculpted, in neo-Classical style with a large round basin and a rounded fountain, which was completed in 1818. This fountain also has a centralised plan, and was designed so that animals could drink from the basin while people could drink from the four spouts. It dates from the mid-19th century, and was originally created for the Plaza de la Bassa square, but was later moved to its current location in 1972. Another of the royal fountains fed by the Bellús spring is located in the Plaza de Alejandro VI square, formerly known as the Plaza de Aldomar square. Dating from the first half of the 18th century, it was worked in Baroque style although with Gothic echoes. Although now mainly used by people, this fountain still serves its function as a water trough, as can easily be divined from the size and height of the basin. 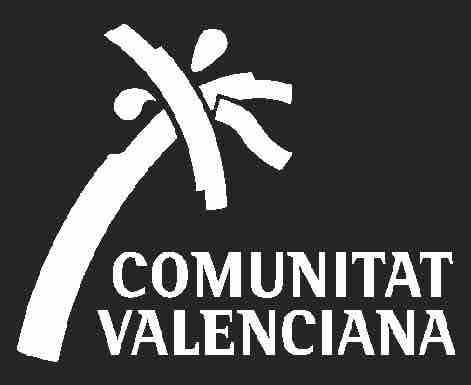 It is situated on the doorstep of the birthplace of Pope Alexander VI, formerly known as the Plaça dels Borja. This route guides the visitor around most of the city’s historic and artistic sites. “God preserve us! What delight! In this beautiful garden where the water of felicity flows like a serpent.